I am particularly organized in every way, but when it comes to fostering creativity on my child I just let the mess take over. I read that creative spirits should freely focus on creating and not be distracted by the need to keep the workplace in order. My toddler is no exception. You should see the mess he creates when he kneads, cuts, and rolls those play dough. My consolation is hearing how he labels every shapes he created out of the dough, his imagination is really working. 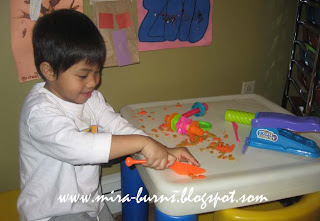 I just let loose and not become too critical about the mess during creative play. 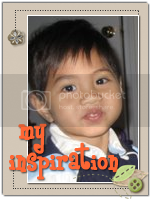 I try to nurture and cultivate my son's ability and desire to be creative. My three-year old son is attending pre-school twice a week and I must say it has been a welcome treat for me to get some time off from him. But that time without him seems still not enough. I still struggle keeping up with chores; online work and studies. My son doesn't take a nap in the afternoon anymore unless he's got a pretty rough day. He literally zaps my energy out during the day so at night I don't have enough energy to go through my usual routine. There's a mom in my son's pre-school whose son can play by himself for hours so she's able to do a lot of things during the day. Though I find that odd, I wish that my son could play by himself for longer time too. He's all over me all the time. He wants interactive play. He wants to get involved in everything I do in the kitchen, laundry, even when I just take a pee in the toilet. No kidding, he would stand there and hand me toilet paper; new pantyliner and even flush the toilet for me. When I put anything on like my pants, socks or shoes, he'll get excited and would offer to help me. He is playing 'mom' to me, imitating the things I do to him. His words would always include "Let me help", "Let me do", "I do it too mommy". Sometimes I feel like my son is obsessed with me, and its pretty exhausting lol. I guess I just have to cherish these moments huh, like what every moms I know would tell me. He will grow up sooner than I expect and hopefully he would be this helpful and involved in my life too ;-). We'll see. I'm sure busy moms like myself would agree with me that 24 hours in a day seem not enough to do everything around the house. However ways to save and maximize the time in a day to get more things done are a welcome treat. While I want to make my life simpler, I also have a habit of browsing through the net and comparing products and services all the time to get the best deal. I don't just plunge into buying anything. I also don't have the luxury of time sitting at the computer continuously. I've been trying to search for dedicated server in a while and while searching through the web for dedicated server, I came across WebHostingGeeks.com, a website that provides a list of the top 10 web hosting providers. This site really makes it easier to compare and choose the right provider that fits anybody's needs. Instead of going through sites after sites to compare the pros and cons and prices of a web hosting provider, at Web Hosting Geeks this won't be a problem anymore. WebHostingGeeks.com caters to everybody's needs when it comes to choosing the right web hosting provider as it has the best resource for web hosting reviews and ratings. Here are my top 10 droppers for the month of June. Thanks guys for dropping here regularly. Check out my sidebar for some linky love. Moms like me are becoming more and more housekeeping savvy. From stretching the family budget to diy's, smart solutions and more.Being a wonder mom is now no sweat with all these wonderful alternatives. Coffee. Can’t start the day without having my cup of hot, creamy, not-so sweet morning booster. This blog is all about my favorite kicker and its benefits, with some teasers on other great tasting beverages. A 40 year old mother of two who likes to write just about anything. A baking enthusiast, a crafter and a hobbyist. This is about me, my views, my interests and my favorites. I’m a mom and a wife to picky eaters which prompted me to search for yummy and healthy recipes, and modify so my family can enjoy them. I’m a 40ish year old mom of two. I love to bake, cook, plant herbs (in pots cause i don’t have a garden), cross stitching, hardanger embroidery, bowling and just like any typical pinay moms i love watching telenovelas. I used to worry about my son not having interest on identifying alphabet and numbers while other playmates his age can identify them very well already. I read in the book "What to Expect the Toddler Yeas" that children who can recognize letters and numbers before school may only enjoy temporary edge from other kids. Studies show they don't retain it, as other students quickly catch up. Not having interest in academics at age 2 or 3 does not in any way suggest that a child won't be a good student. Don't belittle a child if he isn't ready to count or learn the alphabet. There's plenty of time ahead for these before first grade. Make learning fun and exciting, like my son and I count together when climbing stairs. Let toddler be and enjoy as he is, but stimulate learning by talking, reading, and counting with them. After what seemed to be an endless cold season, now the weather is really becoming warmer for good. Having come from a country with tropical weather, I really prefer the warm season over the bitter cold ones. Warm weather means grill season too. Grilling is a very important endeavor during the warm weather. Most families spend more time in their backyards; getting together with family and friends; and enjoying their all time favorite grilled food like barbeque, hamburger and hotdogs. My family is not an exception to this. In fact, as soon as the weather became a little warmer, we right away moved our Friday night dinners to the deck. But in as much as grilling and eating out are two exciting things to do, there are however 'uninvited' guests lingering around that prevent us from enjoying our meals to the fullest. These pesky mosquitoes not only can be very annoying, they can be health hazards too as they may carry the dreadful West Nile virus. I saw the mosquito magnet review at MosquitoMagnet.com and I was really impressed at how this mosquito magnet gadget works. Like the testimonial from a guy who lives in a forest with lots of trees. They are usually swarmed with mosquitoes during the summer when they go out to their backyard. But with the use of a mosquito magnet, they are able to go out and enjoy their backyard. And I was surprised to see how much mosquitoes this mosquito magnet collected after a month and a half at work in their backyard, enough to eat them alive. Since we've got tons of trees in our backyard as well, we also experience being attacked by pesky mosquitoes and bugs. 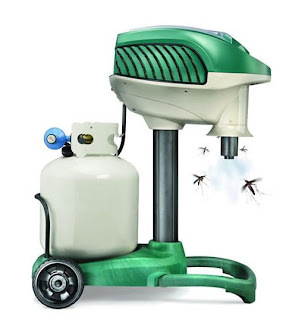 This mosquito magnet is a very good investment, it will be a great help for us to enjoy our grilling and eating out in our backyard even more. Mosquito magnet will zap all the pesky mosquitoes and even bugs so our summer will be more fun and safe. This is a very long overdue tag from my blogger buddy Mize of Night Clicks. Mize is a terrific person and one of the sensible bloggers that I came to know through blogging. This tag has a rule: Click copy/paste, type in your answers and tag four people in your lists. Don’t forget to change my answers to the questions with that of yours. ~ 4 people who email me regularly: family, relatives, friends, and a lot of spammers. Sending our kids to college can be very tough, but it is the greatest achievement that all parents can accomplish. However, not all parents can afford to send their kids to college, so they look for financial aid resources or federal student loans to help pay for their children's education. To save parents the time, stress and confusion in looking for the right financial aid process, there is a company called Student Loan Network that can help them. The Student Loan Network is one of the nation's fastest growing providers of student loans and related information. They have been in the business for more than 10 years and have helped students and their families access financial aid resources such as federal and private student loans, scholarships and consolidation funding for undergraduate, graduate and continuing education. The Student Loan Network is a member of Edvisors family of companies, a global leader in online education marketing and financial services. Is There a Best Season for Potty Training? Potty lore has it that summer is the best time (some members of the older generation would say the only time) to start teaching a toddler to use the toilet. And there's undeniably some wisdom to that tradition: A toddler who's dressed lightly (or better still, not dressed at all) has a better shot at making it to the potty in time than a toddler who's decked out in layers of winter wear. But, seasonal considerations should take a back seat to toddler readiness. Spring, summer, winter, or fall, the best time to teach a toddler about toileting is when he or she is ready to learn. If your toddler turns out to be ready in the winter, keep the house a little warmer than usual so that he or she can run around lightly clad. The minimum amount of clothing will allow for maximum success with toileting. 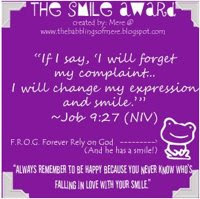 THIS BLOG IS OPEN FOR LINK EXCHANGE IF YOU WANT TO LINK UP JUST ADD MY BLOG, COME BACK & LEAVE YOUR URL AND I'LL ADD YOU BACK. THANKS! This blog is a personal blog written and edited by me. For questions about this blog, please contact mira.burns@gmail.com.